Age-related macular degeneration (AMD) is the leading cause of vision loss in the elderly population. Because patients may be asymptomatic until acute vision loss occurs, early detection and reducing the risk of progression are essential to preserve vision and quality of life. Join a free webinar to hear Theodore Leng, MD, MS, describe this multifactorial disease as well as strategies for early detection, current treatment options and how new data may change the way we care for our patients with AMD. Dr. Leng is an innovator in the field of medical and surgical retina. He is a board-certified ophthalmologist and vitreoretinal surgeon and the director of clinical and translational research and ophthalmic diagnostics at the Stanford University School of Medicine, where he’s been a full-time faculty member since 2010. In addition to his clinical practice, Dr. Leng has a vibrant clinical and basic science research program and has published over 200 peer-reviewed scientific manuscripts, book chapters and abstracts. He is a frequent speaker at national and international meetings and is a fellow of the American Academy of Ophthalmology and the American College of Surgeons as well as a member of the Association for Research in Vision and Ophthalmology and the American Society of Retina Specialists. 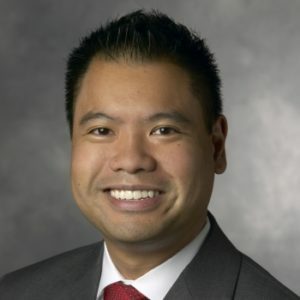 Dr. Leng also currently serves as the associate editor of the peer-reviewed journal, Ophthalmic Surgery Lasers and Imaging Retina, and recently served as the president of the Stanford Medicine Alumni Association to support its mission of reaching, inspiring, serving and engaging over 26,000 alumni.